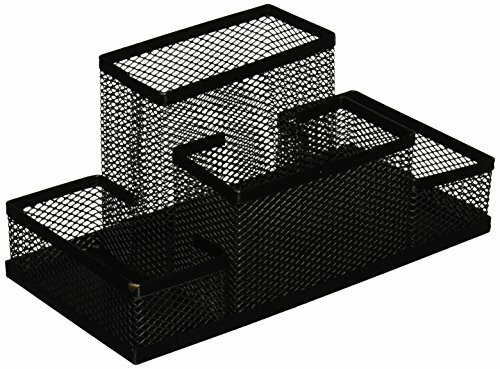 * Features durable metal material, 4 compartments, mesh style, black color, etc. * Simple design and compact size will provide much convenience to you. * Suitable for holding small items, such as pens, pencils, rulers, scissors, adhesive tapes, etc.